Calling all Bands, Groups and Solo Artists!! Calling all bands, groups and solo artists to participate. Thanks a million to everybody who came from far and wide to support the 14 wonderfully talented performers that took the stage at this weeks open mic. Special thanks to Up in Flames, Kyle Thornton, Roadhan McKenna, Lean and Conchord who all put on a smashing performance. 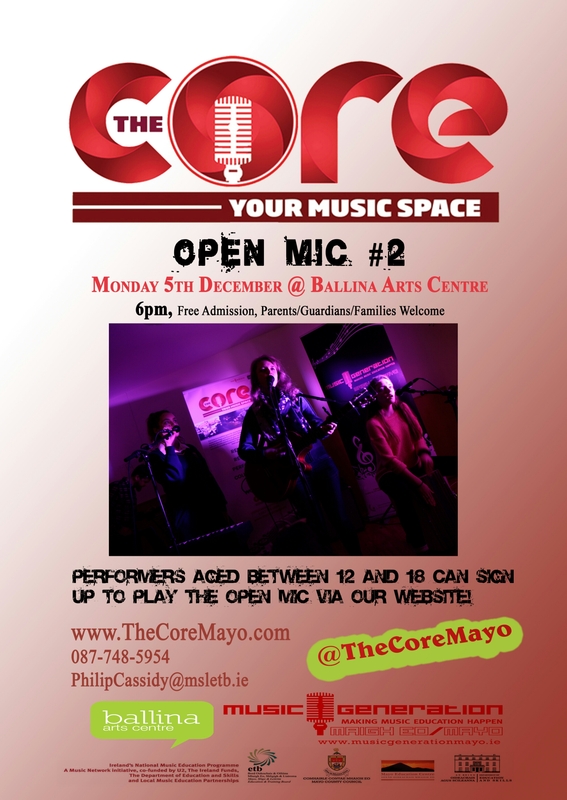 After an epic evening of musical talent from the four corners of Mayo we are delighted to announce that our next open mic is coming up on Monday December 5th. Click here to sign up! The photos are up from Monday nights event. Head on over to our Facebook page to check them out! Videos coming soon!